Here's a cute little doll bench I finished in the Primitive theme. This is the after photo. Sadly, again, I forgot to snap an easy before pic! UGH! But when I got it, it was an ugly, muddy blue color. Try to think of those blues that were around a lot when ducks were the fashion for kitchens. Yea, well, uglier than that. It was a deeper, darker blue. 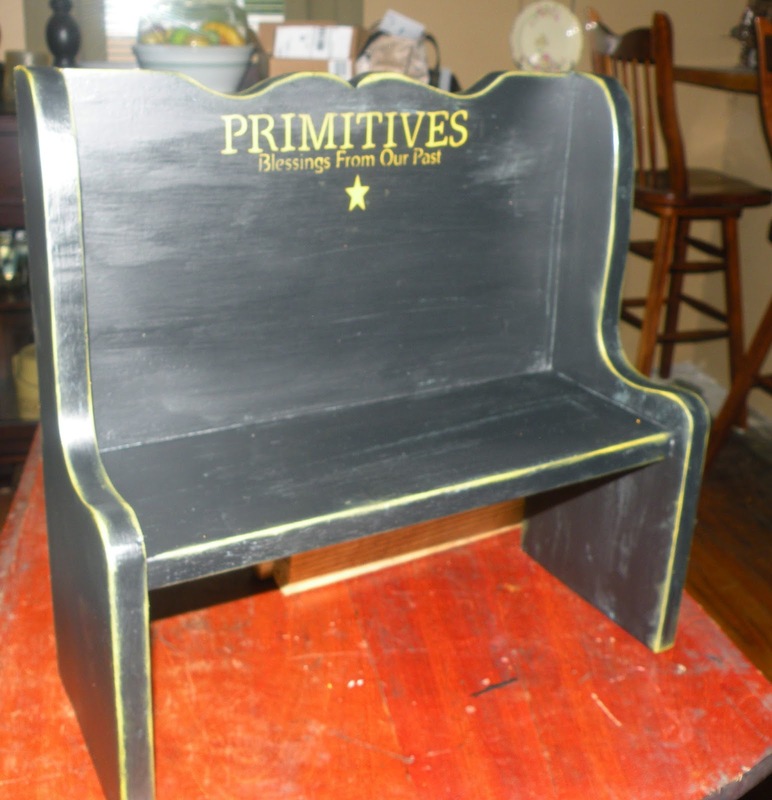 First thing I did was put on a coat of flat black. 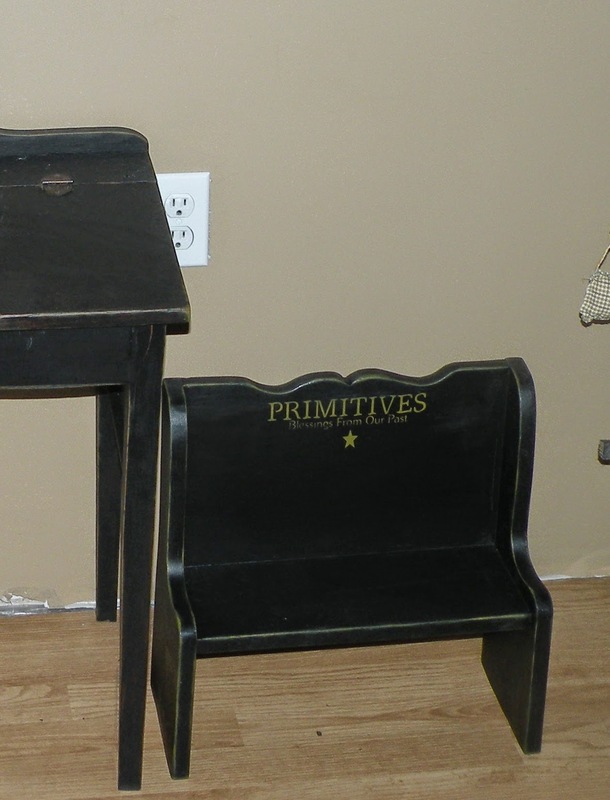 Then I roughed up the edges with stencil paint to give it a more worn look to where kids may have touched it the most. 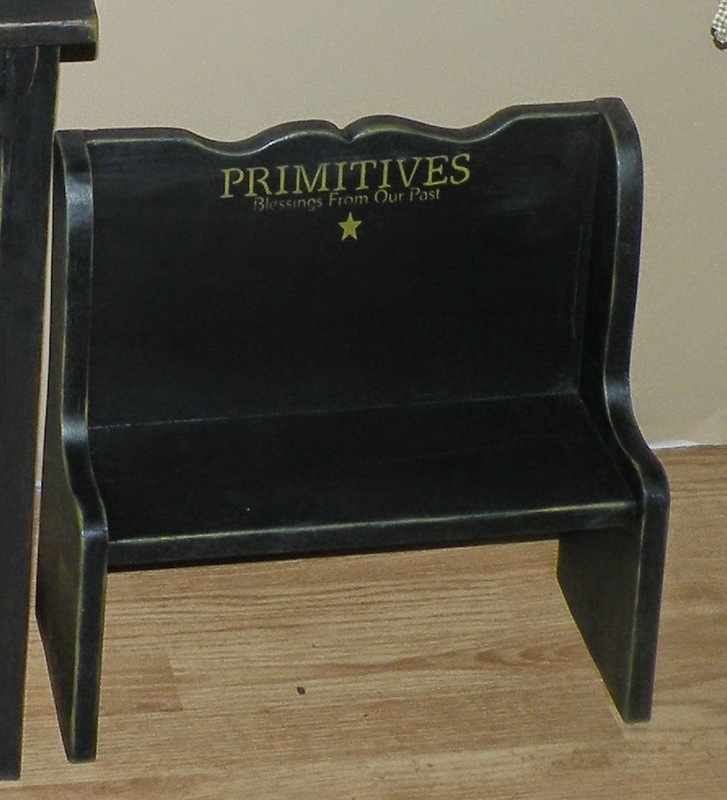 And to finish it up, I stenciled on a cute saying that says, "Primitives, Blessings from our Past. Price: $14.99 SOLD in my Booth#555.